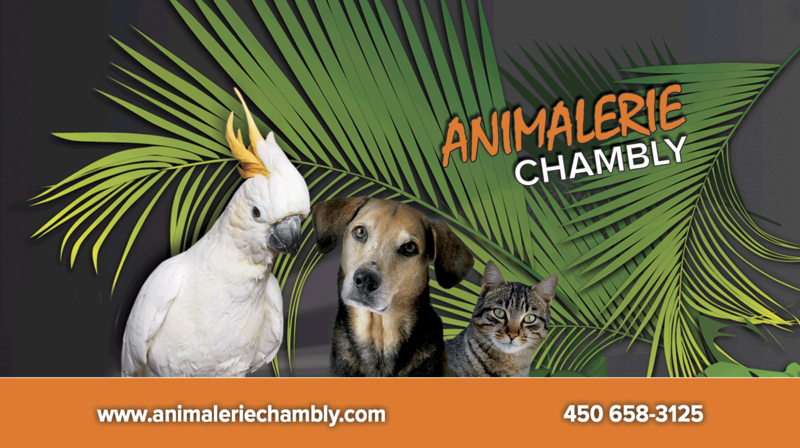 Welcome to Animalerie Chambly, the only resource for everything you need for your pets and all at the best value. Always on the lookout for new brands and products, Animalerie Chambly offers a service to the customers with high quality , as well as advice of any kind to help you in your purchases . Since 2000, Michelle and Francis Lebel acquired the pet store after having worked several years since 1987 . Our team is always happy to answer your questions , and all in a friendly atmosphere . You will find our pet ; cats, dogs, reptiles, fish, birds, rodents and more, as well as all the accessories and nutrients needed to properly pamper your pet and our staff can advise you for all your needs. Welcome to Animalerie Chambly , the place of choice for your Pet. Copyright © 2015 Animalerie Chambly - All rights reserved. Powered by PRINTCORP Inc.